McFeeters had the notoriety of being responsible for the portion of the original 1862 Roundhead regimental colors that were recovered from the Crater on July 30, 1864 after an artillery shell shattered the staff and a good portion of the flag. The remnant had been recovered immediately following the shell explosion which had killed the color bearer. Lt. Richard Craven of Co. K immediately picked up the remnant of the flag and gave it to Capt. McFeeters for safekeeping. Moments later, Craven was obliterated by the explosion of another shell, as witnessed by Capt. McFeeters and others including William Taylor of Co. G. Per a letter by Taylor written on July 31, 1864 to his wife Jane, a portion of the shell that hit Craven and "blew him to pieces" took the top of another Roundhead soldier John M Lowden's (Co. E) head off, while yet another piece of the same shell wounded Captain Norman J. Maxwell of Co. E in the foot. According to Taylor, the only part of Craven that could be found was a portion of his head. The remnant of these original regimental colors now reside in the Pennsylvania State Museum in Harrisburg, PA. 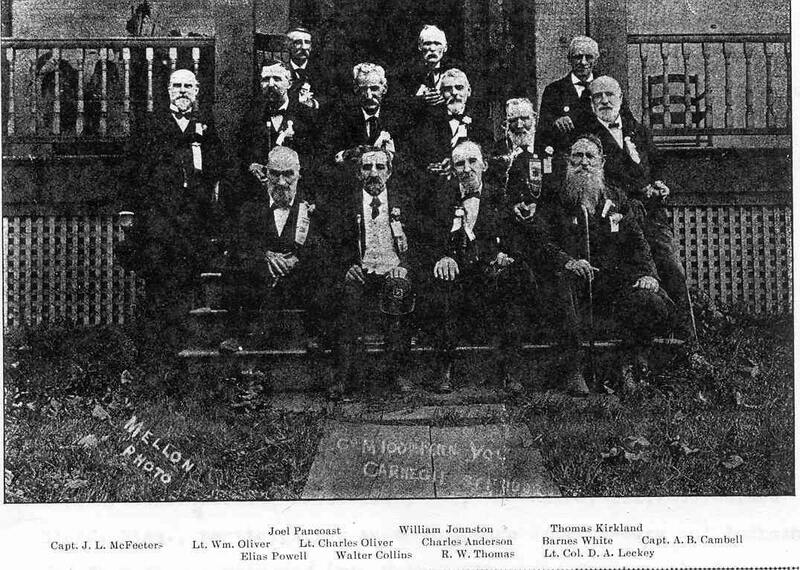 In 1902, McFeeters met with other comrades from Co. M in a reunion at Carnegie, PA where the photograph below was taken. 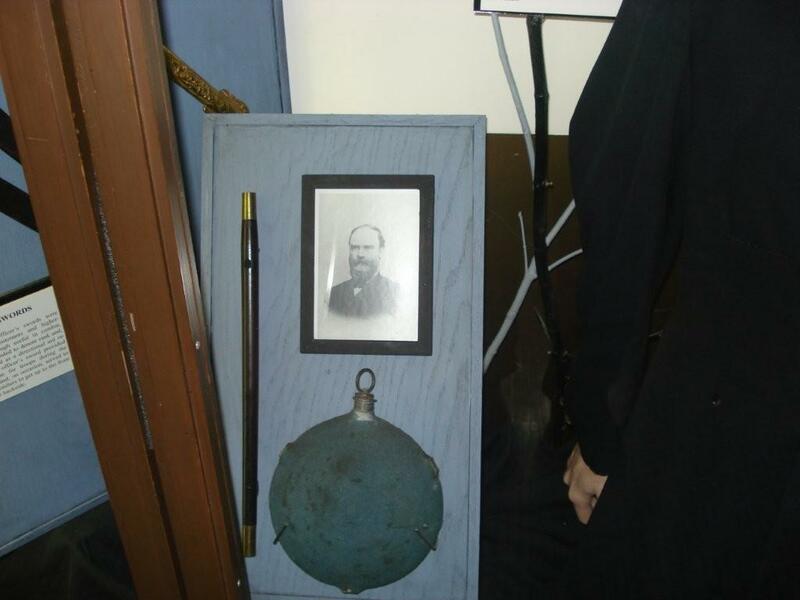 The photograph was contributed by Nancy Korb, descendant. Also in this image is Joseph Chambers, who captured a flag at Fort Stedman, March 25, 1865 and was awarded the Congressional Medal of Honor. 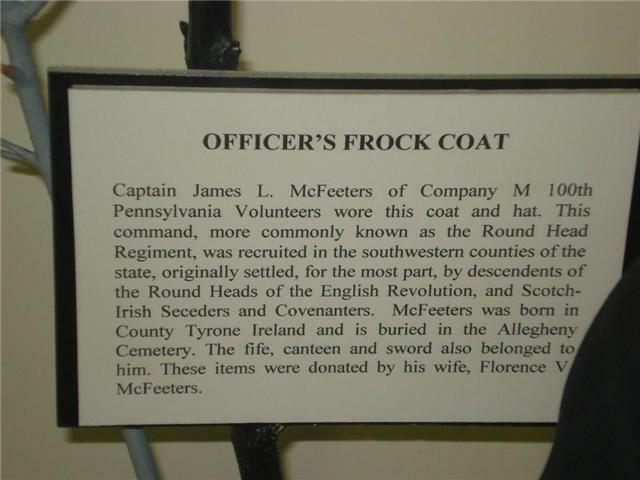 James L. McFeeters, steamboat-captain, Braddock, was born in County Tyrone, Ireland, in 1839, a son of Hugh and Mary (Little) McFeeters, former of whom, who was a farmer in Ireland, but engaged in the foundry business in Pittsburgh for several years, died in Braddock in 1873. The family came to Pittsburgh in 1853, and to Braddock in 1872. James L. was educated at the public schools of Pittsburgh, and learned the trade of molder, which he followed from 1853 to 1859; then commenced steamboating, which, with the exception of three years spent in the army, he has since been identified with. 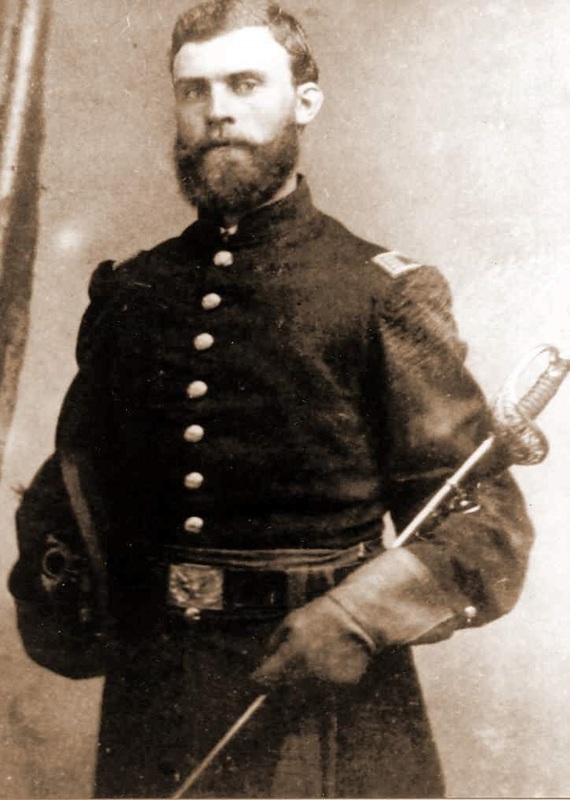 He enlisted, in 1861, in Co. M, One Hundredth P.V.I., 100th Regiment (known as the "Roundheads"), was promoted to sergeant, second lieutenant, first lieutenant and captain, and served in the war three years and six months; was severe]y wounded in the head at second Bull run. Capt. McFeeters was married, in 1869, to Florence V., daughter of David P. Allen, of this county, and two sons have been born to them, J. Allen and Guy Stanley.  Our subject has been captain of the steamboat Ark for eleven years, and has made many successful runs on the Ohio and Mississippi rivers to the Gulf of Mexico. He is a republican. Source: Cushing, Thomas; History of Allegheny County; Chicago: A. Warner & Co. 1889. 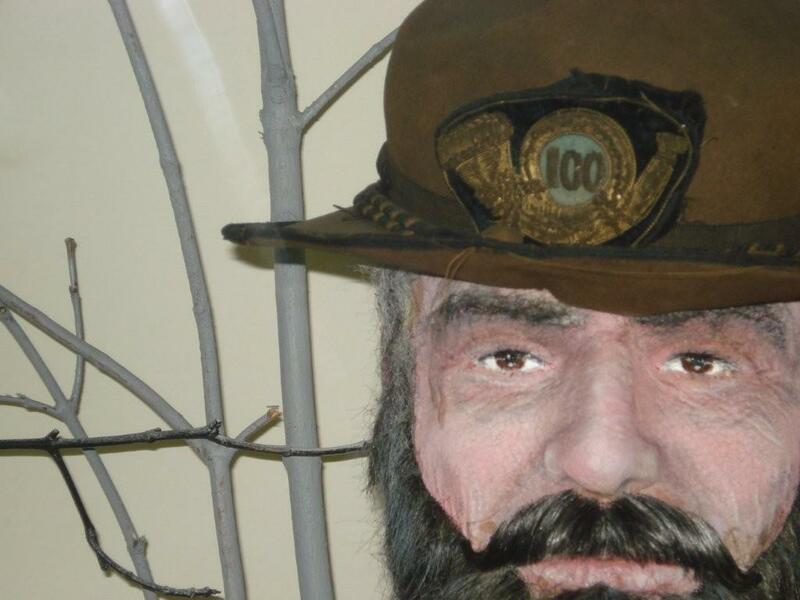 Photo of officer's hat badge by Paul Neeson; according to Mr. Neeson, a similar hat badge was purchased by Neeson from Cowan's Auctions in 2009 that was worn by Lt. 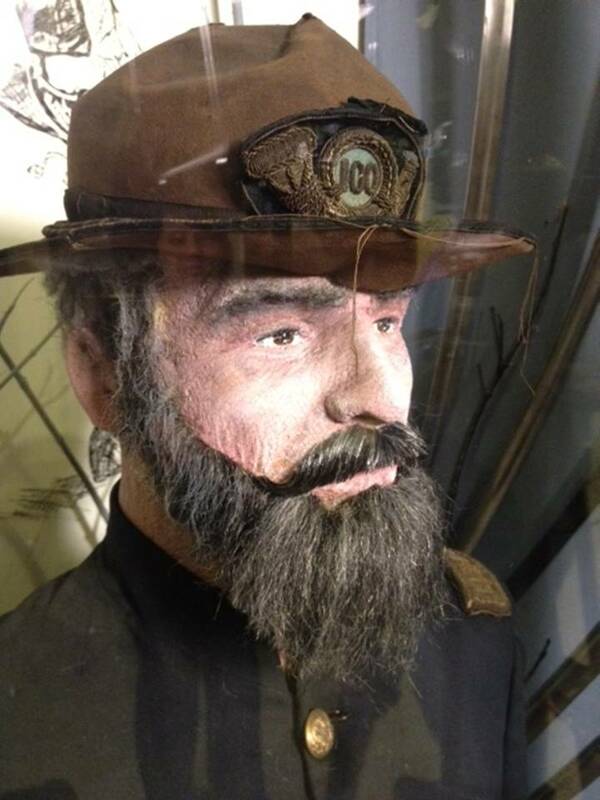 Colonel David Lecky.